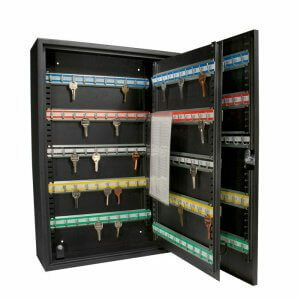 Keep up to 200 keys organized and secure in this key cabinet.Adjustable key shelves, four pre-drilled holes and mounting hardware included for easy installation. 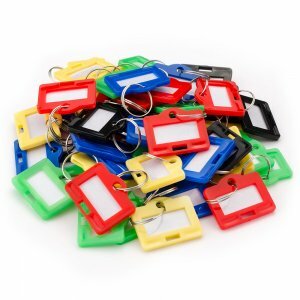 Chart insert can be used as a log sheet and or a key index to keep track of keys. 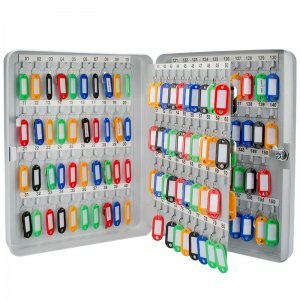 Keep keys organized and secure in this multi key lock box. Equipped with a locking door for added security. 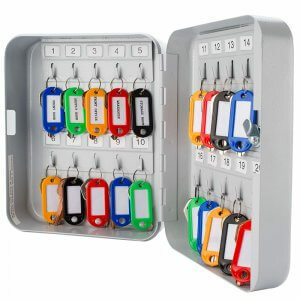 The adjustable key shelves feature hooks allows you to hang keys with or without key tags or hang multiple keys with key ring. Pre-drilled holes and mounting hardware included for easy installation. 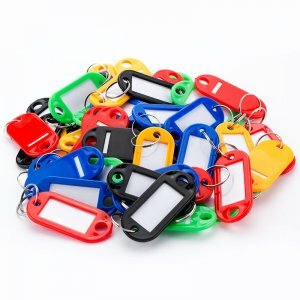 Ideal for home, office, apartment complex, rental management companies, car lots, body shops and more. Backed by a One-year limited warranty. This is just what I hoped it would be. Spacious and holds a lot of keys. This worked great! 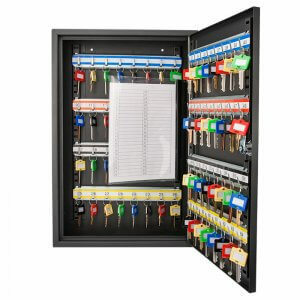 I was able to organize the keys to the apartment complex I'm managing and it has enough space for all the keys. It's also very sturdy once you mount it.